When Julia Barnes was 16 years old, she was inspired by Rob Stewart's award-winning 2013 documentary, Revolution. It was the first time she learned that the world's coral reefs, rainforests and fisheries were expected to disappear within her lifetime. Every species she loved, every ecosystem we depend on was in jeopardy. She was so moved by the film that she bought "a couple of cameras, learned to dive, and set out on a mission to expose the biggest threats facing the ocean." Believing that people would help change the world once they were aware of what was happening led her to film her own movie, Sea of Life. Filmed over three years in seven countries, Sea of Life dives into some of the most spectacular ecosystems on the planet. It exposes both the destruction that's happening in the ocean and the efforts underway to stop it. As Julia says, "Creating a world that's beautiful for all species will require the greatest heroes of our generation to rise up and tackle the biggest challenge the world has ever faced." 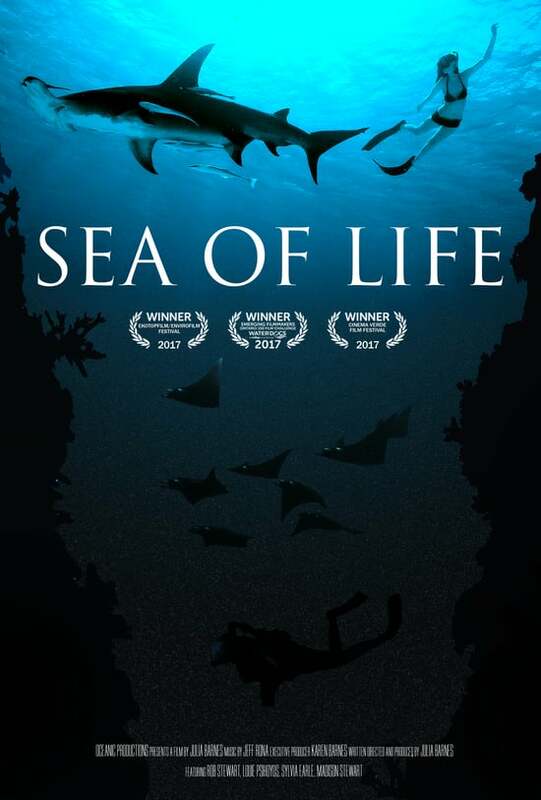 Click here to watch Sea of Life, now available on demand. Click here to see Rob Stewart in Revolution and click here to watch his first award-winning movie, Sharkwater. That's cool. There's also this Australian girl who makes movies to save sharks called Madison Stewart aka Shark Girl. She's been diving and swimming in the ocean her whole life. Good to know so many people care.